When I made my hatsumōde (first shrine visit of the year) to the Nezu Shrine this morning, it did not disappoint. 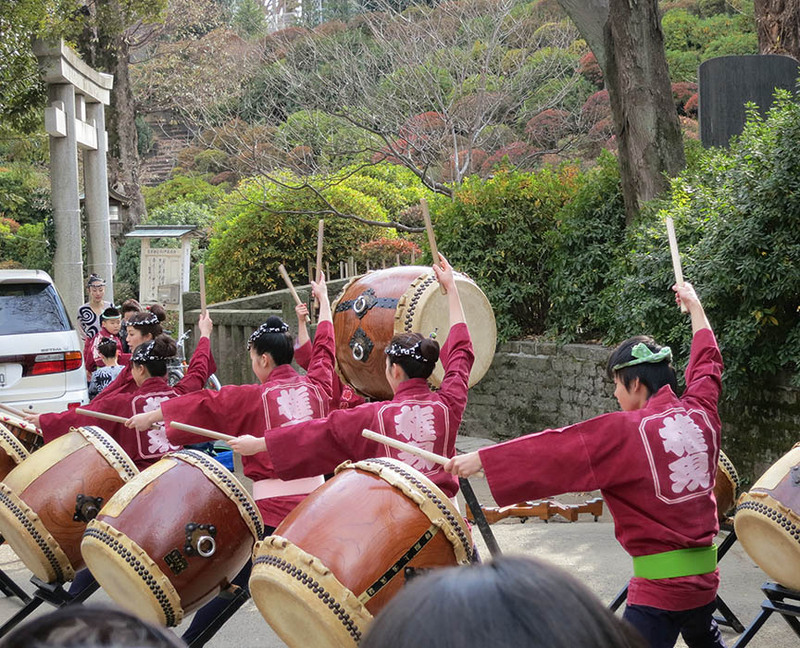 New Year’s is observed with all kinds of traditions in Japan, but none were more entertaining than this troupe of beautiful women taiko drummers. 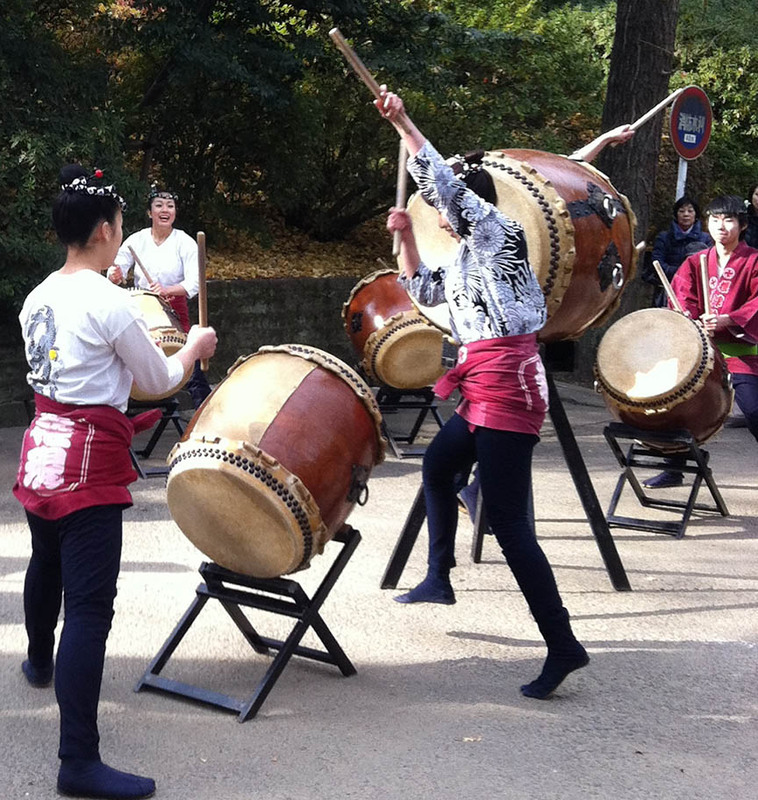 They make it look easy, but taiko drumming is a workout that would put kickboxing to shame. As you can see, I was not alone, waiting to pay my respects to the kami-sama. Amulets and charms that have been working hard all year absorbing bad luck around the house can’t just be kicked to the curb on burnable trash day. 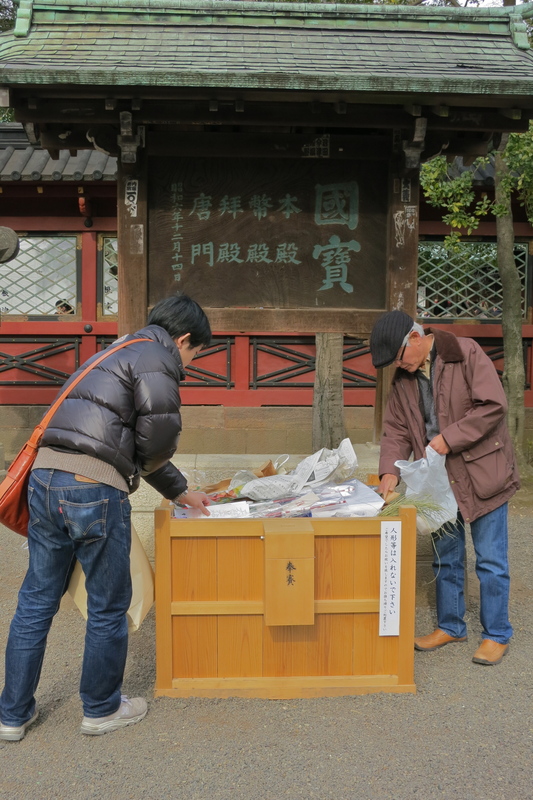 They have to be brought back to the shrine for ritual cremation. 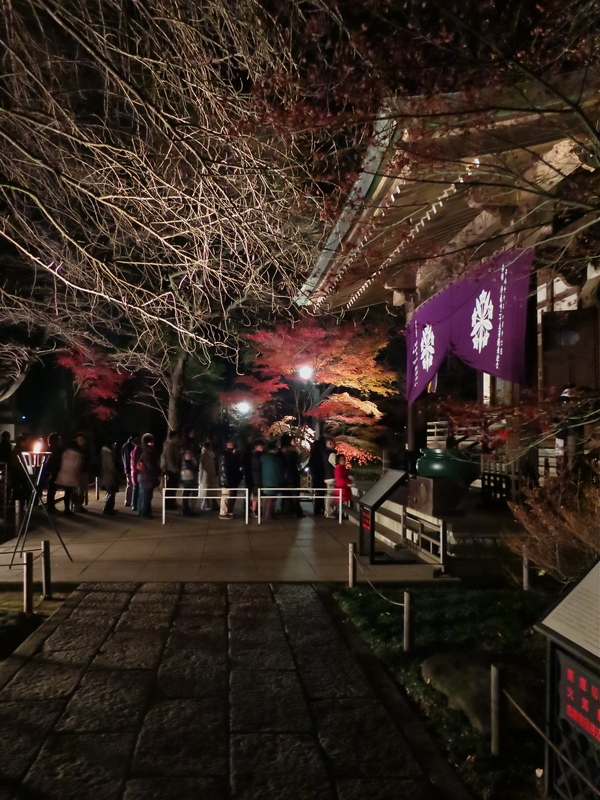 And while New Year’s Day belongs to the Shinto shrines, New Year’s Eve is when people observe the Buddhist changing of the year. 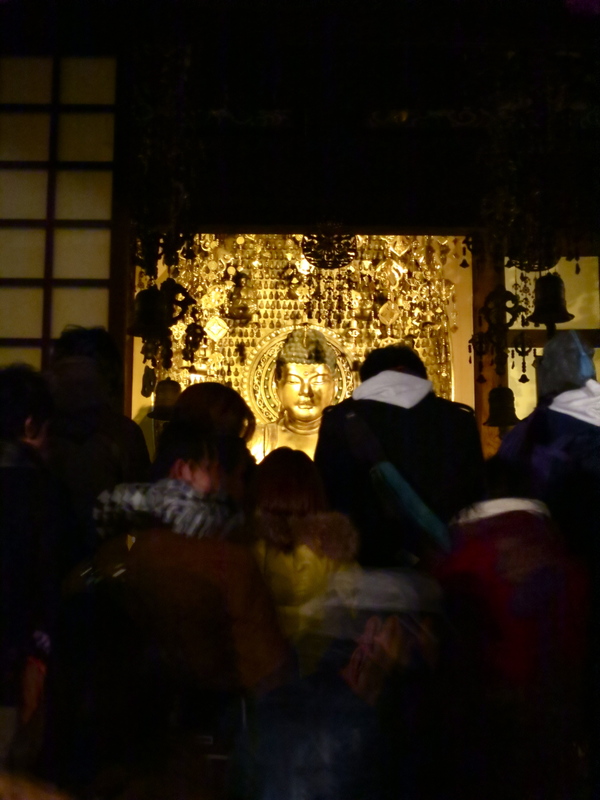 Last night, people started lining up at 11:00 to toss their coins into the offering box at Kuhonbutsu and buy their New Year’s fortunes. The big temple bell is rung 108 times, accompanied by sutra chanting. 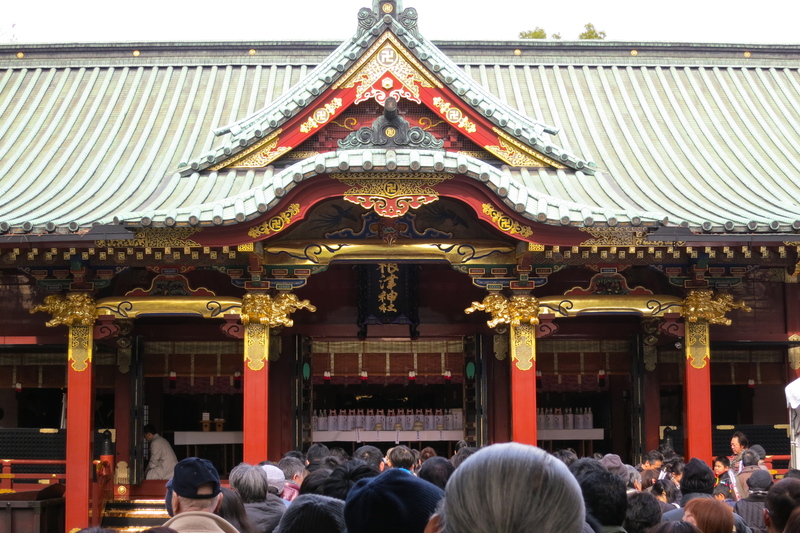 If you’d like to go to the Nezu Shrine the next time you’re in Tokyo, a map is on my website, The Tokyo Guide I Wish I’d Had. 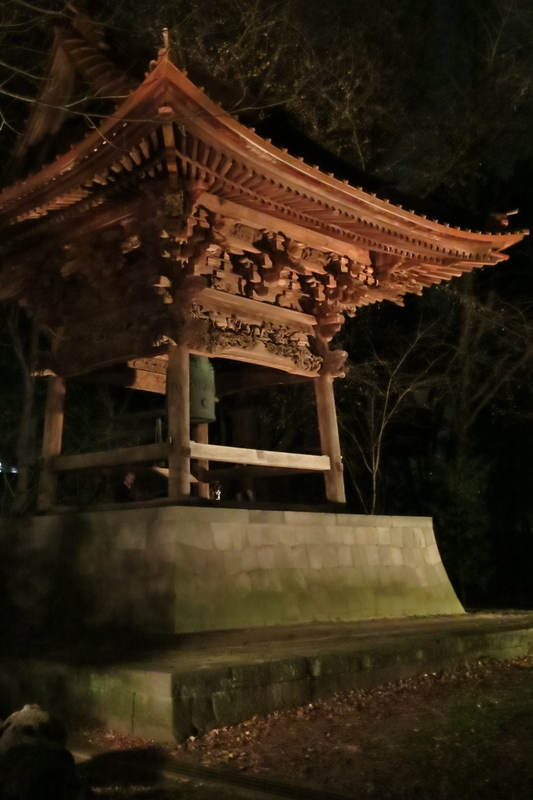 Pingback: Nezu Shrine | Let's Go To Tokyo! 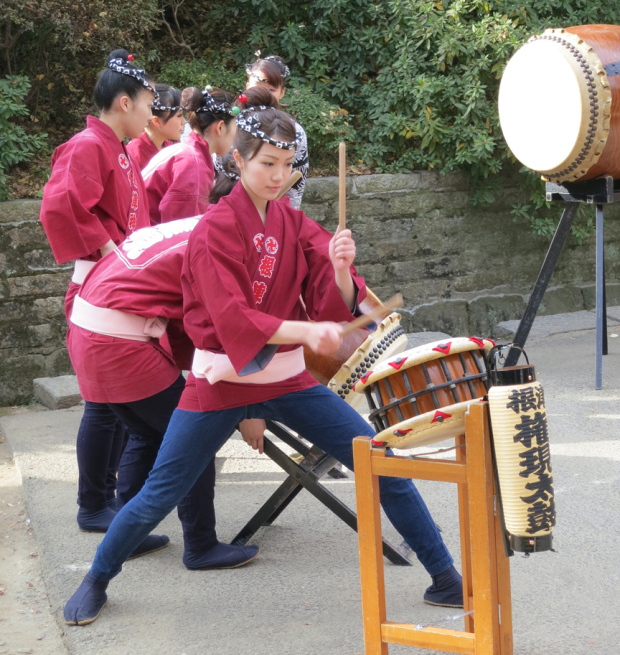 Pingback: Monthly Guide To Festivals In Tokyo | Let's Go To Tokyo! How Expensive Is It To Go To A Host Club?